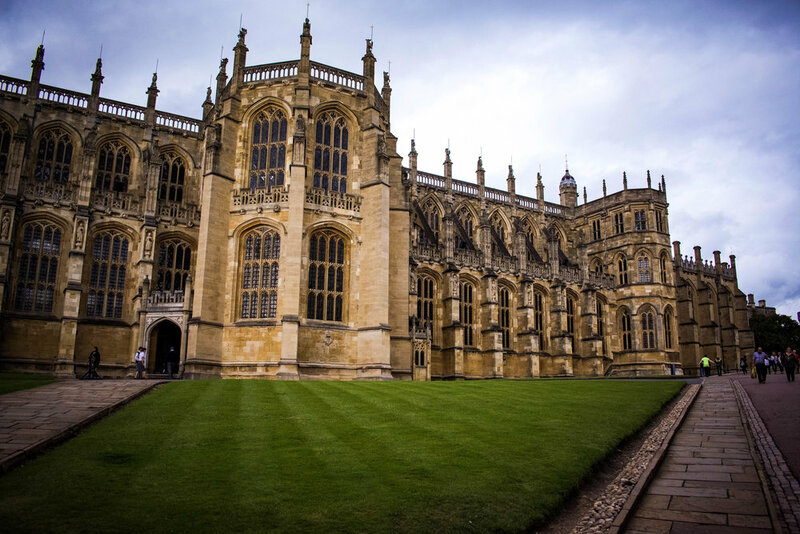 St. George's Chapel is an incredible gothic-style church inside the walls of Windsor Castle. 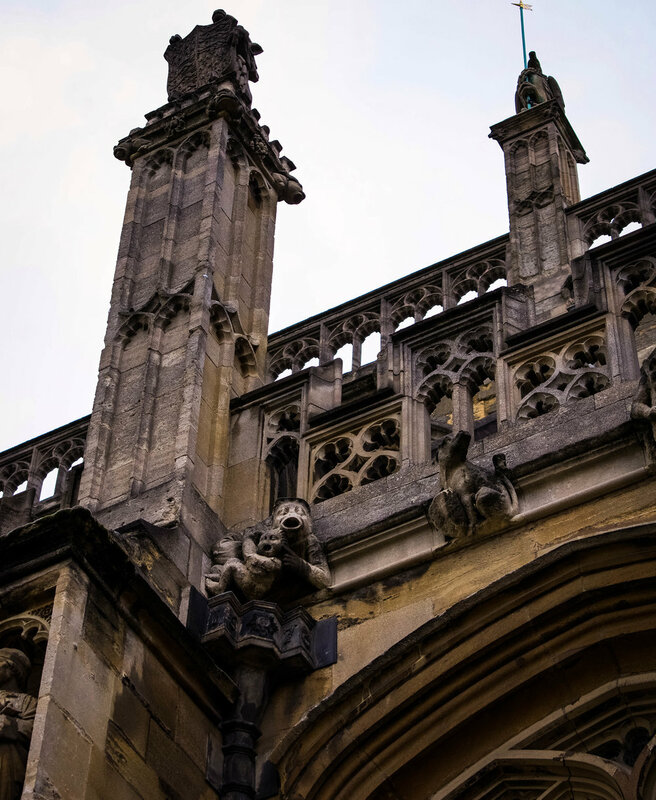 St. George's is the final resting place for many English royals, including the Queen's father, King George VI, King Henry VIII and Jane Seymour, and two coffins of unidentified children - suggested to be the Princes in the Tower! If you're interested in the Tudor Dynasty or the War of the Roses - St. George's Chapel is a must-see! 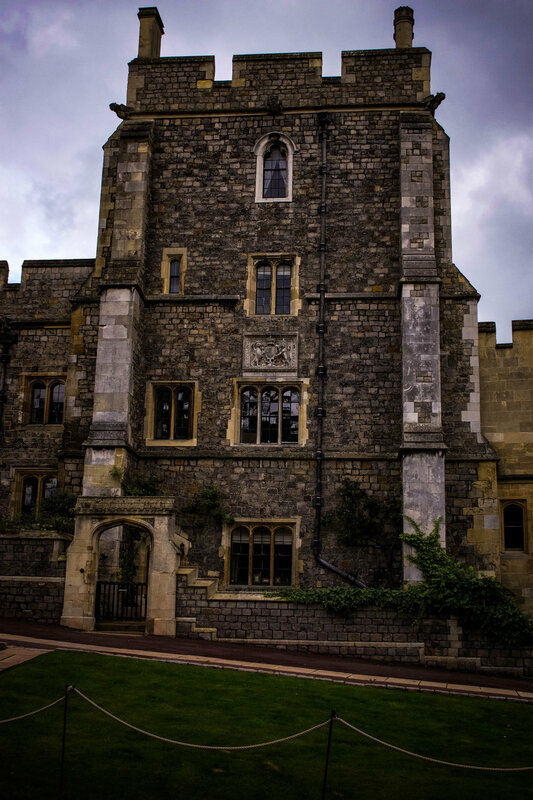 As I said in my last post about Windsor Castle, we arrived late in the day on a Monday afternoon. We were limited on time, so I wanted to make sure that we saw the tombs of my favorite historical King & Queen, Edward IV and his Queen Elizabeth Woodville - every true nerd should have a favorite King & Queen! Their tomb is massive and somehow I walked right past it the first time. I eventually had to ask someone where it was and thankfully they have people who work there at several different spots within the church. The lady we talked to was super friendly and was willing to nerd it up a bit and chat about some of the history of the church. She also showed us the chair that the Queen sits at when she attends services there. It was surprisingly crowded for a late Monday afternoon - so I would suggest trying to get here first thing in the morning to try to avoid the crowds. Like most other churches in England, unfortunately they do not allow any photography inside. I absolutely love taking pictures when I'm traveling - so the "No Camera's Allowed" sign is always a tough pill to swallow. But it does force people to be present in the moment and truly appreciate the beauty that is right in front of you, rather than scoping out spots to get the best shot for your Instagram. So when you go to St. George's Chapel, take as many photos as you'd like of the outside - which is also gorgeous - but then tuck the camera away and admire the beautiful stained glass, intricate ceilings, and contemplate all of the historical figures that also walked on the floors. It's a humbling experience and one that I will never forget. Check out my other suggestions for things to see in London! Here is my Ultimate U.K. RoadTrip Itinerary with more info on my epic 17 day adventure through England & Scotland!